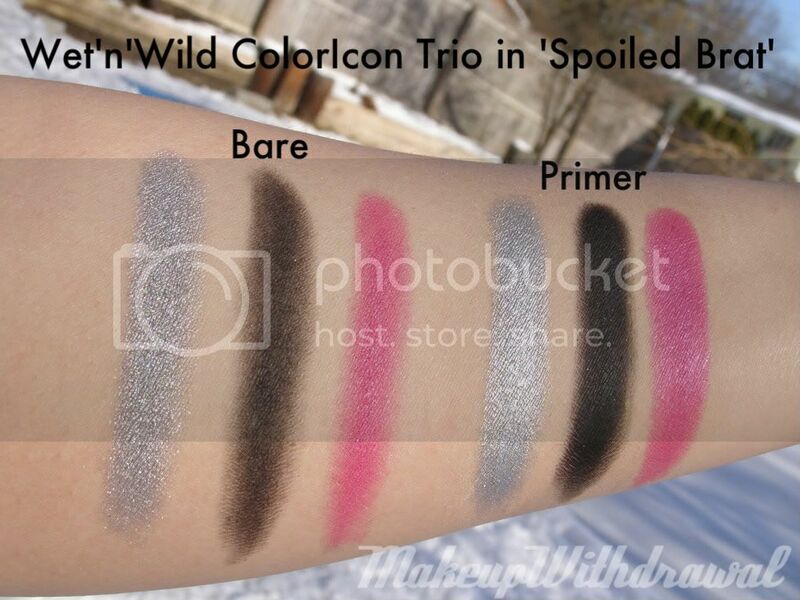 Here's another one of the new Wet'n'Wild trios called 'Spoiled Brat'. This one wasn't my cup of tea exactly at first glance, but I ended up really liking it. 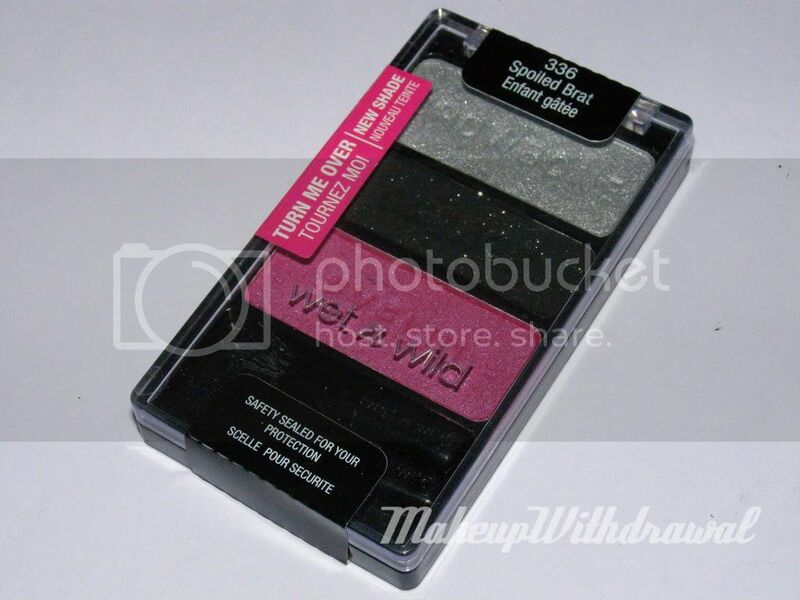 The 'browbone' shade is a super silver metallic, the 'crease' is a matte black with tiny silver sparkles and the 'eyelid' shade is a bright pearly fuchsia. The quality of this trio is great, but without primer the silver doesn't look that great because the little particles that make up the shadow won't lay flat. The black shadow is a really nice matte, but the sparkles don't really show up and when I blend out that shade, they disappear. Still, it's the darkest matte black I think I've ever seen in a drugstore palette (and would definitely give Urban Decay Perversion a run for its money). I actually wore this trio out to my friend's birthday dinner, have a look. Did you have the day off because it was MLK Jr Day? I did, I spent most of it running errands!